Unlock creative free-thinking and learn how to create your own comic book with Robin and Lawrence, the British comics creators who work together as The Etherington Brothers. The Heroes and Villains session will focus on characters and The Big Adventure Show will look at creating an original adventure from start to finish. 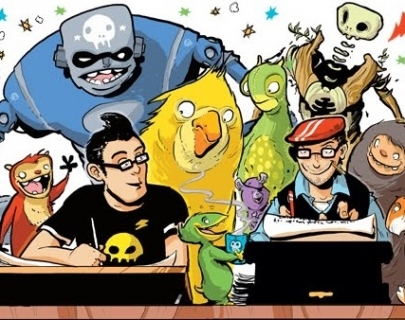 You will also receive a free 12-page Etherington Brothers Comic-Creating Guide.